This article examines the practical legal aspects of using martial arts techniques while training in the dojo or in defending oneself on the street. Assault and battery, the main legal rubric which should concern the martial artist, is examined in depth as to potential criminal and civil liabilities which may arise. Both specific cases and hypothetical situations are referred to in order to give the reader some insights into the modern code of conduct under which he or she is expected to abide. Knowledge of the law of assault and battery is an aspect of martial arts training that has been sorely neglected. A practitioner of any martial art should have a general understanding of society's code of conduct in order to understand how to react reasonably to an assailant's attack. Furthermore, society's standards are not shed at the door of the with one's shoes. The law has crucial implications within the confines of the training hall. Although legal niceties do not strictly control a person's conduct in the midst of a street encounter or during fighting within the , a martial artist should take time to reflect upon the legal consequences that flow from using his techniques. The focus of this article is upon the civil and criminal legal consequences flowing form a non-fatal blow delivered from the hand or foot upon an assailant on the street or opponent in practice. The distinction between the criminal and civil law is fairly obvious. Criminal liability results from a prosecution by the state for an offense or wrong one commits against the public. The primary purpose of a criminal proceeding is to protect the public against the offender by punishing him or eliminating him from society. Generally the state, as the protector of the public welfare, defines criminal offenses in statutes promulgated by the legislature. Civil liability, on the other hand, flows from a civil proceeding brought by one individual, the plaintiff in a lawsuit, against another, the defendant, to be compensated monetarily for the damages resulting from a wrong or tort committed against him. These two classes are not mutually exclusive. That is to say, the same act can lead to both criminal and civil proceedings. The tort readily associated with the martial arts is battery which is defined as an intentional unconsented to touching of another person's body. Intentional, in this context, does not involve malice or ill-will, but rather is merely the volitional action of touching a person. One may jokingly touch another person and have committed a battery. On the other hand, if someone turns around and in the process accidentally touches another person, there is no intent to touch him. However, if one walks forward, sees another person in his path and rudely pushes him aside, there is intent to make such contact, and a battery has been committed. As the definition of battery requires, the touching must not be consented to by the injured party. Consent is a willingness by a person that an act shall occur. This consent need not be expressly given in words but may be manifested in the actions of a person. Implied consent, as the latter form of consent is called in the law, entitles a person to reasonably rely upon another person's conduct which demonstrates a willingness that an act occurs. If one expressly consents to an act, but in his heart of hearts actually has deep reservations, he cannot later say there was no willingness in fact. A party will not be permitted to rely upon his subjective lack of consent when his actual conduct is totally contradictory and misleading to others. Silence can operate as consent here a reasonable person would otherwise speak. As Professor Prosser's treatise points out, a woman who does not protest upon a man's proposal to kiss her may have mental reservations; nevertheless, the man remains privileged. Yet, the man who stands his grounds under the threat of attack cannot be said to consent to the blow he receives from an attacker. The scope of the consent cannot extend beyond its reasonable meaning under the circumstances. For example, consent to be touched is implied when one goes to a doctor for a physical examination. Similarly, when one joins a group to play football, consent to be touched is implied. It can be assumed that the willing participant is familiar with the rules of the game which include touching players. If during the course of play the participant has a change of heart, he must expressly state that he no longer consents to be touched or he may leave the game. However, the consent, whether actual or implied, may not be extended beyond its reasonable meaning. Thus, the physician conducting the physical examination may not take indecent liberties with his patient, and the participant in the football game may not be tacked with a kick to the groin. Such contacts clearly extend beyond the scope of the consent given. AIt is not always necessary that the person consent to the harm itself; it is enough if he gives his consent to the act which he knows will result in bodily harm. 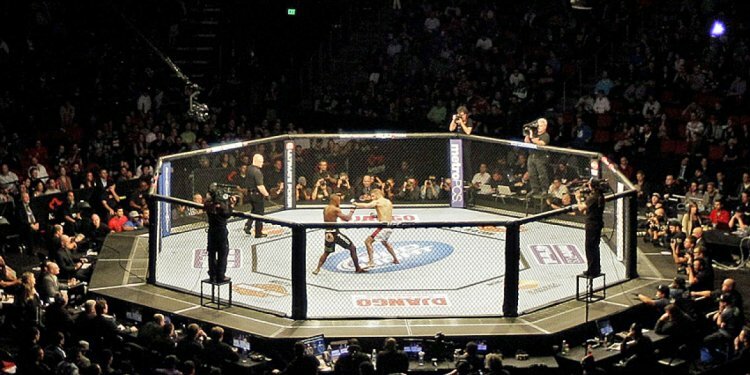 Thus, where one engages in games or sports in which there is a likelihood or certainty of bodily contacts, such as a boxing match or athletic event, he assumes the risk of the bodily injuries which are almost inevitable from the conduct on the part of the other contestants to which he gives assent. 'When people engage in a game involving risk, or a game generally safe, but in which accidents may happen, every player taking part in it takes on himself the risks incident to being a player, and he will have no remedy for any injury he may receive in the course of it, unless there has been some undue violence or unfair play on the part of some of the others. He takes the risks incident to the game, and the result of these risks must lie where they fall'."